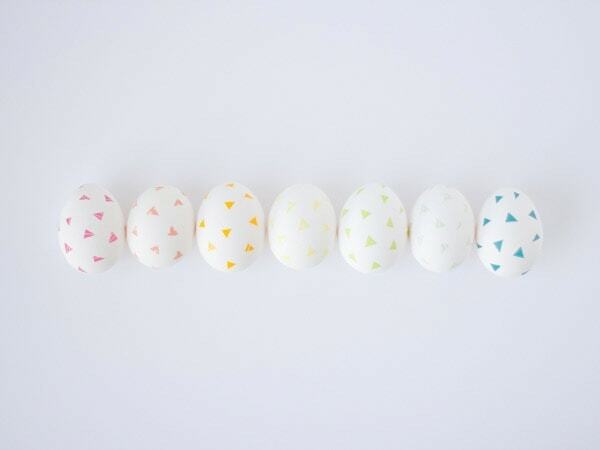 Over the last couple of years, washi tape has become my favorite go-to material when it comes to decorating easter eggs (remember these and these?). I still love dye and all that jazz, but geez this is just so much cleaner and quicker — and you can make all kinds of really rad designs. 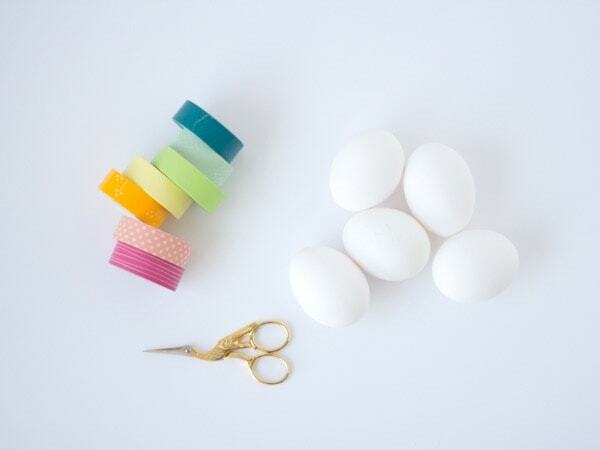 So just to inspire you, I’m keeping the tradition alive with another way to use your washi tape come Easter. It’s super fast and I’m pretty sure anybody can tackle this one. 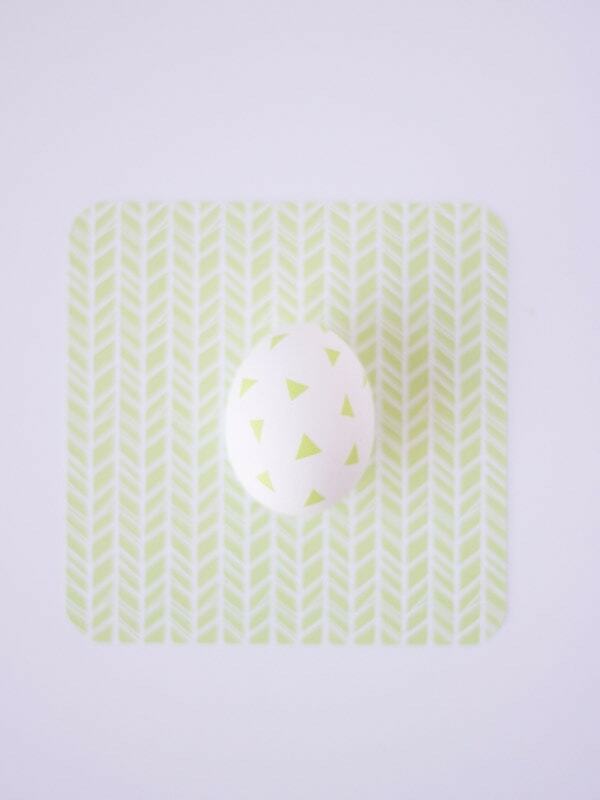 To start, be sure your eggs are at room temperature or you may have a hard time getting the washi to stick. 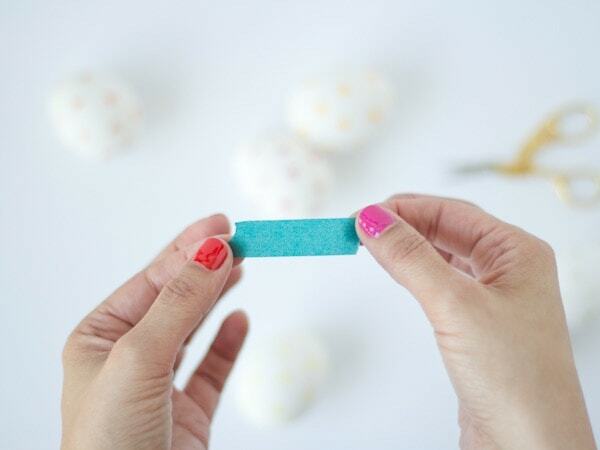 Peel off a 2″ section of washi tape. 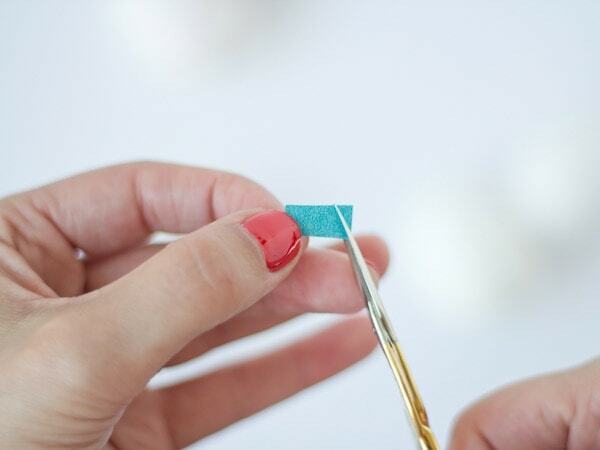 Cut a 1/4″ piece that has clean edges on all sides. 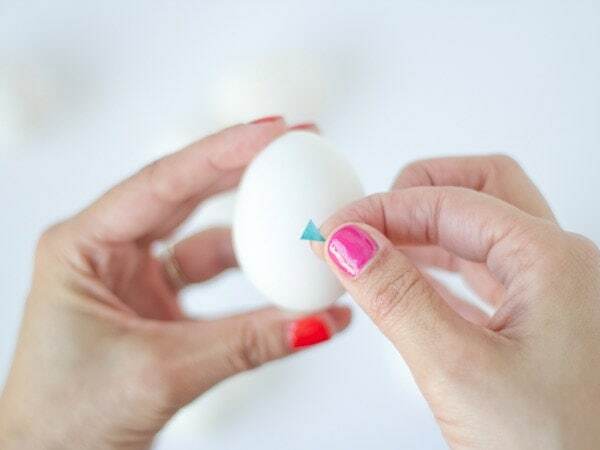 From that piece, cut a tiny triangle and apply it to your egg. 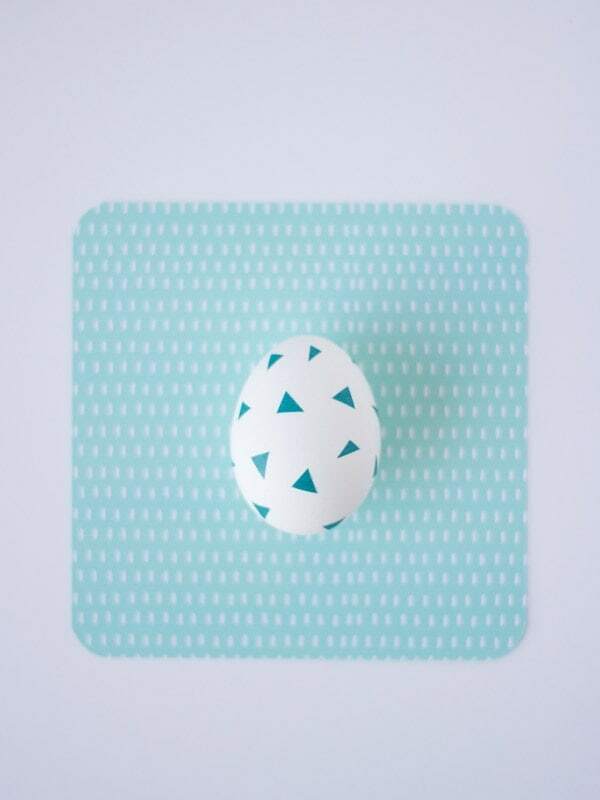 Repeat this until your egg is covered with a sprinkling of triangles. P.S. 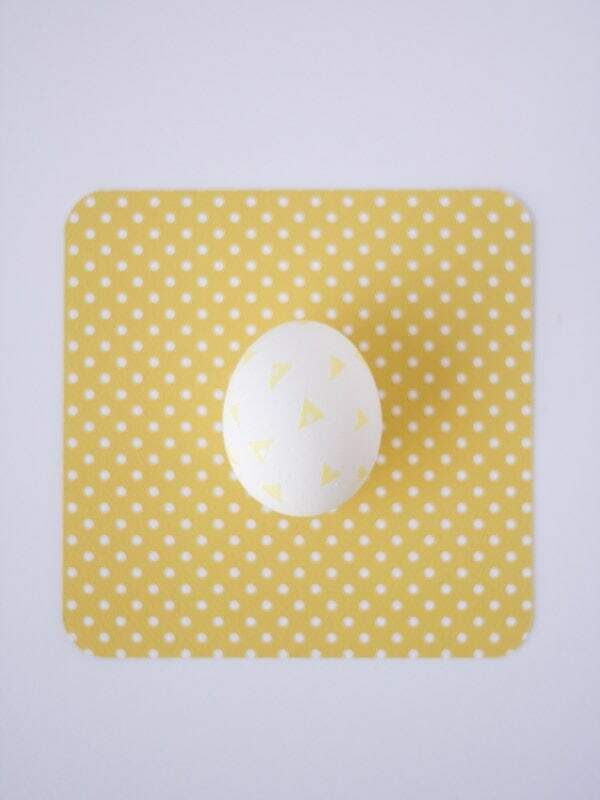 Head over here for more Easter egg ideas! Adorable Chelsea. 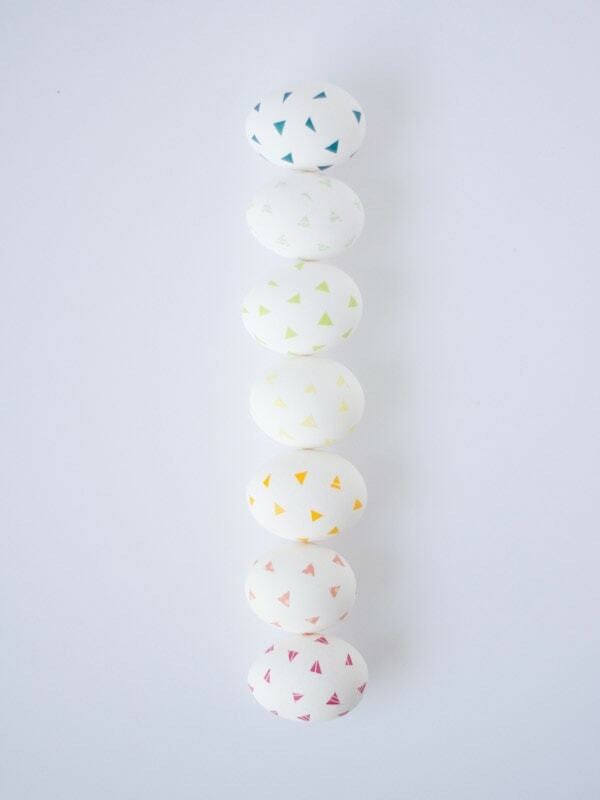 Love these little guys – they’re little geometric rainbows all together like that. So cute! 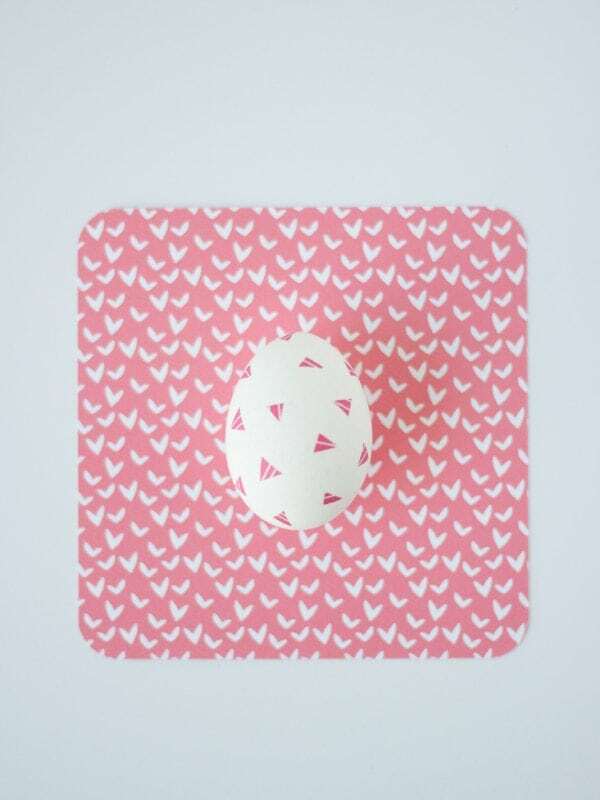 Is there anything washi tape can’t make adorable!?! 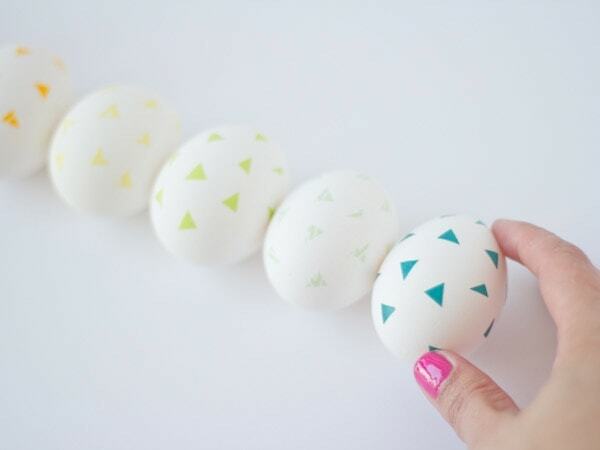 These are cute…and you are right much less messy than dye! What adorable scissors! 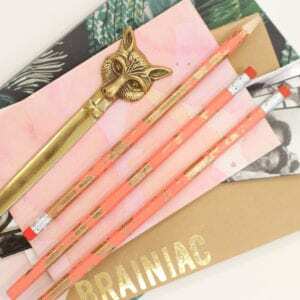 Today we have an special post!! You should check out our new geometric colorful chair!! Super cute Chelsea! 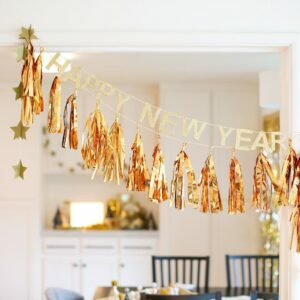 Love your photos for this project too! 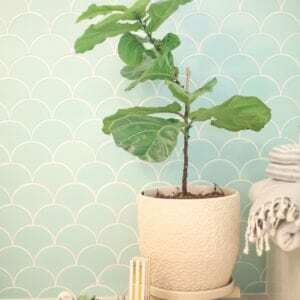 Oh my goshi, I’m diggin’ the washi. Simple. Chic. So Chelsea.